International Journal of Research in Health Sciences,2017,5,3,32-37. 1Consultant Intensivist, Department of Critical Care, 2Final Year postgraduate Department of General Medicine, 3Intern Department of General Medicine and 4Professor, Department of Ophthalmology, MS Ramaiah Hospital , New Bel Road, MSR Nagar Bangalore -560054. Karnataka. INDIA. Anterior ischemic optic neuropathy is the most common cause of acute optic neuropathy in older age groups and very rare below 50 years of age. The causes can be non-arteritic (NAION) or arteritic (AION), the latter being associated with giant cell arteritis (GCA or Temporal arteritis). In the majority of cases it is idiopathic, but known risk factors are hypertension (HTN), diabetes (DM), Obstructive Sleep apnea (OSA) and drugs. Visual loss secondary to NAION as a presenting feature of renal artery stenosis is rarely seen. 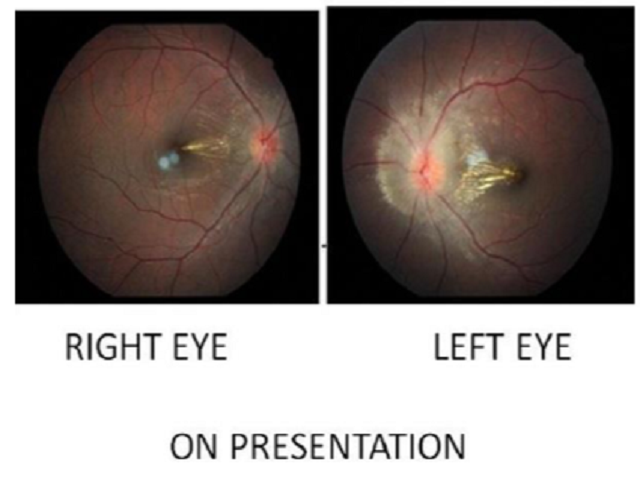 Herein we describe a young male patient who presented with progressive loss of vision in his left eye which was acute in onset. He improved over few weeks with a vision of 20/20(right eye) and 20/80(left eye) and was discharged home. Fundoscopy on initial admission showing bilateral papilledema with macular star and arteriolar attenuation - left eye more than right eye.